83% acrylic/15% wool/2% spandex snapback cap. Structured, high-profile, 3 3/4" crown. 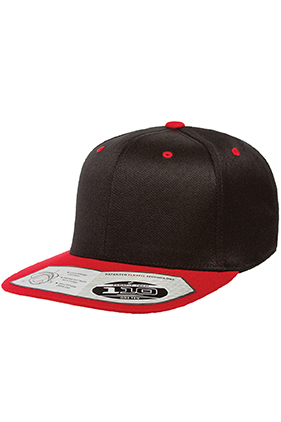 Six-panel, flat bill. Moisture-wicking sweatband. Premium adjustable Flexfit® Tech. Snapback closure.